Are Today's Cameras Cybersecure? 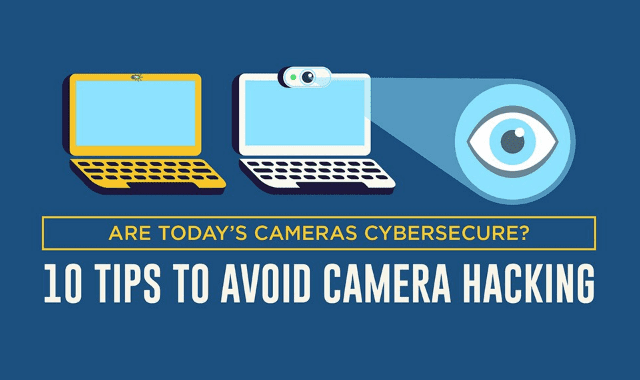 10 Tips to Avoid Camera Hacking #Infographic ~ Visualistan '+g+"
Computer webcams, home security systems, and baby and pet monitors allow us to stay connected 24/7. These camera-enabled devices allow us to video chat with family members and work contacts and keep tabs on the safety of our homes, pets, and children with ease. But all this connectivity opens us up to some serious vulnerabilities. Cyber hackers can gain access to some of our most intimate moments if we don't take the proper precautions. Thankfully, there are ways to protect ourselves-beyond covering your computer webcam with masking tape. Check out the infographic below to better safeguard your devices.